Characteristic: White art deco marking, flashing, white 5s, obscured from 134° to 245°. Emergency light (FI W 5s) of reduced intensity if main light is extinguished. The concrete lighthouse features a central, square tower rising to a height of seventy-five feet, with a one-story structure wrapped around it's base. 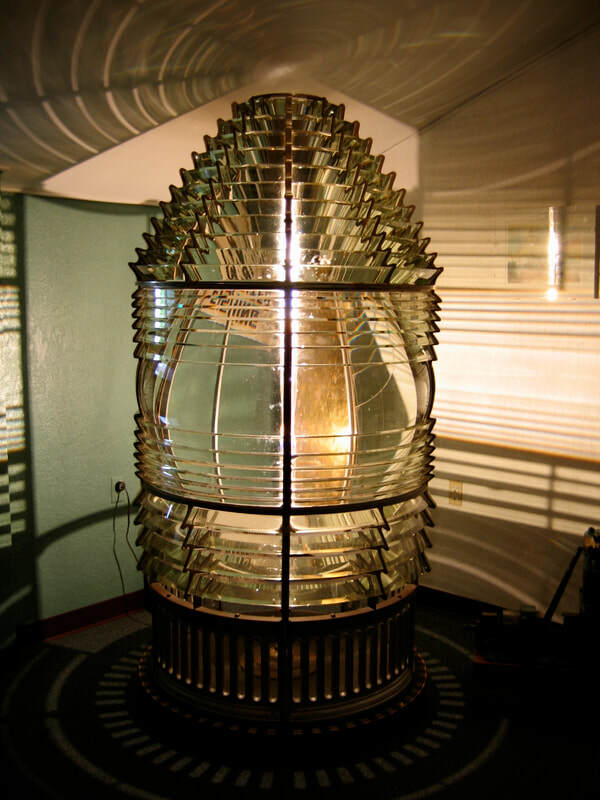 The lighthouse provided quarters for three keepers and also housed generators for the light and fog signal. A Class-A radio beacon was placed on the rocks just seaward of the lighthouse. In addition to the historic structures at Cape Decision Light Station, CDLS is also proud to be the steward of 215.07 acres of Kuiu Island. Designated as a Lighthouse Reserve by Congress in 1921, this unique property is home when visiting the lighthouse. Exploring this wild and abundant cape on foot and by kayak are favorite activities of many of our members.